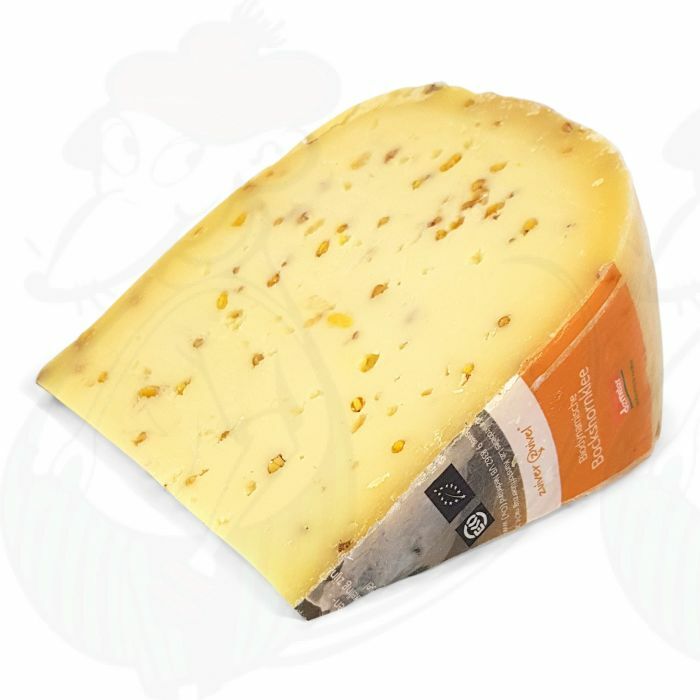 Biodynamic Fenugreek cheese from Demeter is flavoured with Fenugreek seeds. These seeds provide a delicious sweet and nutty touch. This biodynamic Fenugreek cheese is the perfect appetiser, but also tastes great in a sandwich. This biodynamic Fenugreek cheese is made with vegetarian rennet. This means that vegetarians can also consume this cheese without worry. The product is also free of traces of egg, sesame, celery, mustard, lupine, sulphite, wheat, gluten, peanuts, nuts and soya.